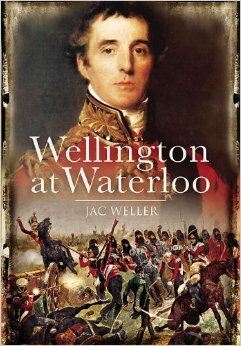 A classic account of one of history’s most ferocious and famous battles, the author scrutinises the tactics, terrain and responses of the key players, as well as the troops on the ground, to paint a vivid portrait of what must have been a truly wrenching and calamitous moment in time. Released in 1970 this mammoth film was a co-production between Italian and Russian forces brought together by that maestro of hugeness, Dino De Laurentiis. With a large international cast and 16,000 soldiers from the Russian army conscripted to represent the armies of France, England and Prussia, it is the type of film almost impossible to put together nowadays, even with the unbelievable budgets we constantly hear about today; no CGI effects on show here, just lots and lots of real human beings! 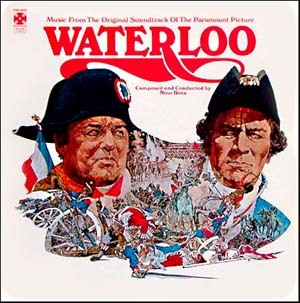 Miraculously held together by Russian director Sergei Bondarchuk, the film boasts some really splendid performances, most notably Rod Steiger’s broodingly intense Napoleon and Christopher Plummer’s coolly sophisticated Wellington, and its depiction of the battle itself must go down as one of the cinema’s grandest (and bloodiest) spectacles. And then of course there’s the terrific score by Nino Rota, which came to the Library as part of the wonderful Kevin James collection of film and musical theatre soundtracks. If you haven’t heard Beethoven’s musical narrative depicting a pre-Waterloo battle between the Duke of Wellington and another Bonaparte (this time his brother Joseph), then you need to tune in to this bizarre and thoroughly entertaining work which commemorates the battle of Vitoria in Spain in 1813. Originally intended to be played by a recently invented musical machine (the Panharmonicum which could apparently play a variety of military instruments) Beethoven’s vision went beyond such a gimmick and he eventually created a version for full orchestra, complete with cannons, muskets, etc., if they happened to be available. 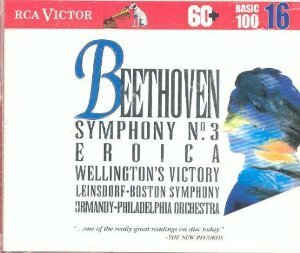 Included here is his Third Symphony, famously dedicated to and named after Bonaparte before he elevated himself to the position of Emperor, at which point Beethoven ripped his name off the title page and renamed the work simply Eroica. Available via the Naxos Music Library to Victorian registered members. 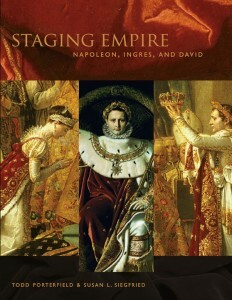 This fascinating book investigates the use, and abuse, of art in the service of political power by focusing on two magisterial pictures depicting Bonarparte’s coronation; Ingres’ Napoleon I on His Imperial Throne and David’s Le Sacre. The role of the artist in post-Revolutionary France cannot have been easy, but to find oneself suddenly enlisted to glorify a new form of monarchy must have presented a whole new set of challenges and conundrums to those caught up in the Napoleonic moment. I was fortunate enough to see and hear a live performace of this remarkable film when it was shown in a fully restored print at the Palais Theatre many years ago, complete with live symphony orchestra playing a specially commissioned score by Carmine Coppolla. It was an awe inspiring experience with large additional screens coming into play for vast panoramic shots of battles and landscapes, and it left me in no doubt as to the genius of silent cinema. 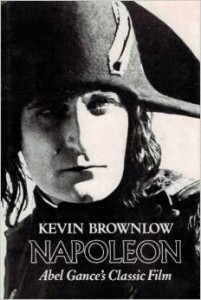 That doyen of silent film historians, Kevin Brownlow, tells its fascinating story here. 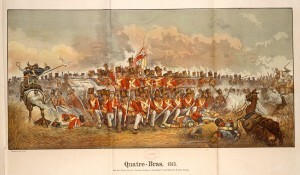 This rather splendid newspaper reproduction of the painting by Elizabeth Thompson, (Lady Butler) depicts the battle of Quatre Bras which was fought a mere two days before the battle of Waterloo. The original is in the National Gallery of Victoria, and is quite overwhelming. No Abba in our collection, Dermot? I was sorely tempted Alec; and yes, we certainly do have some Abba in the collection, including that particular number.